What will I write about if not a sandwich? 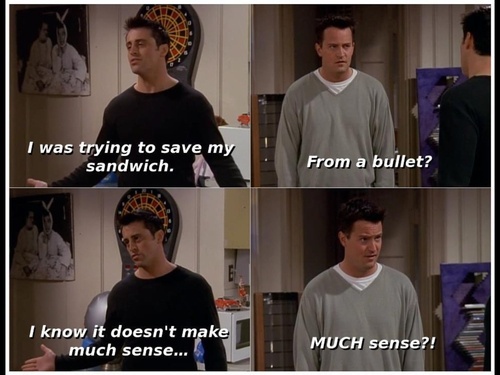 I made this one inspired with a rerun of Friends (I watch them twice a year), to be more specific, with an episode where Joey jumps half way across the car to save his sandwich from an imaginary bullet. Intrigued by this sandwich and what makes it so good I decided to give it a try and the reactions were overwhelming. I completely understand Joey. 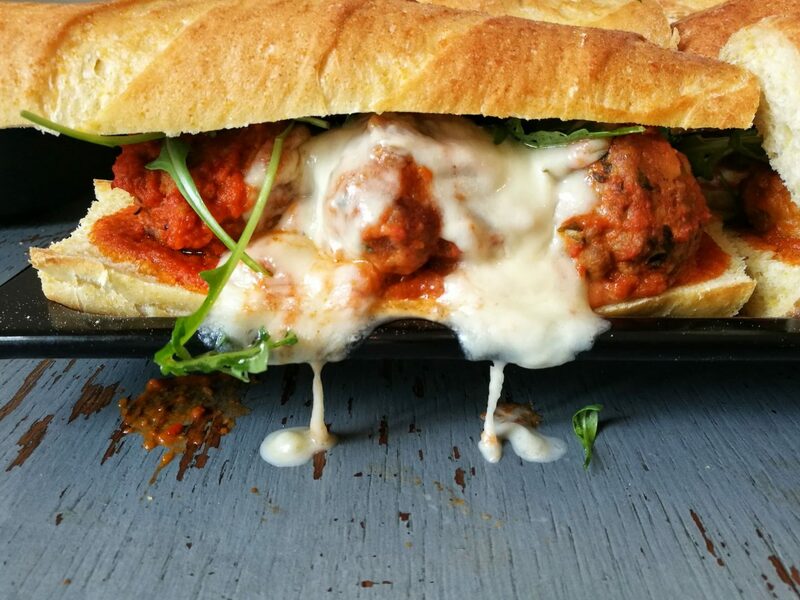 We’re talking about an Italian type of sandwich, very popular in the States and it consists from meatballs (obviously) cooked in a tomato-veg sauce and melted mozzarella, all packed in a baguette alike bread. The point is that meatballs act as little bombs of taste with mozzarella which perfectly rounds up the flavors. It needs a little bit more effort, so I recommend you do it over the weekend. In a deep pan heat up olive oil then add chopped garlic and onions and sautee 2-3 minutes. Add the chopped up celery, carrots, chili and grilled peppers and fry for 3-4 minutes. Add a splash of wine then add the plum tomatoes, water, salt and pepper and let it simmer for 20 minutes on a medium high heat. 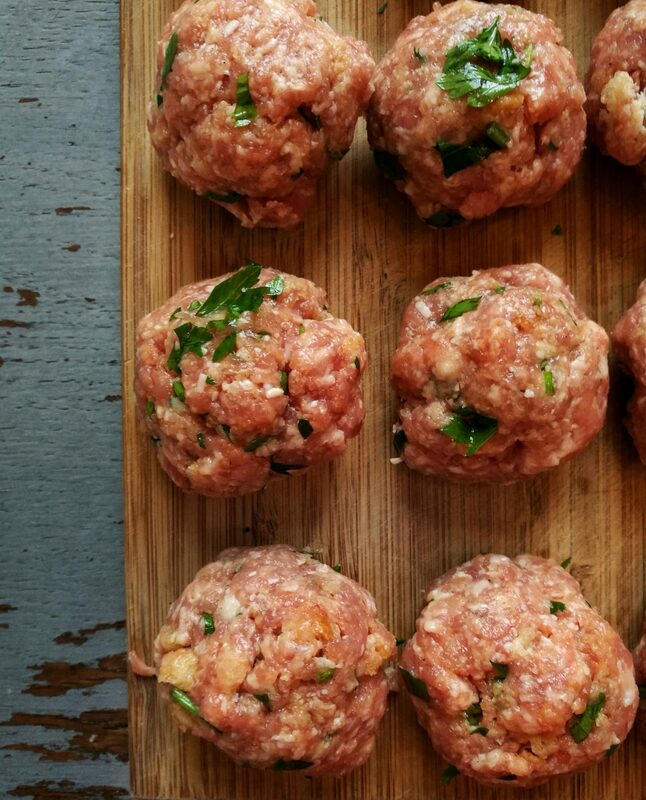 Meanwhile make the meatballs: put the meat in a deep bowl, add the chopped up parsley and garlic, bread crumbs, one table spoon of olive oil, pinch of salt and pepper and mix well. Make 24 balls (ping pong size) and sprinkle with flour. Fry the meatballs on a bit of oil, couple of minutes on both sides until lightly brown. While they’re frying blend the sauce. Transfer the meatballs in a sauce and cook for 15 minutes on a low heat. Cut the sub in half lengthwise and fry or toast so it becomes lightly golden (otherwise the bread gets soggy). 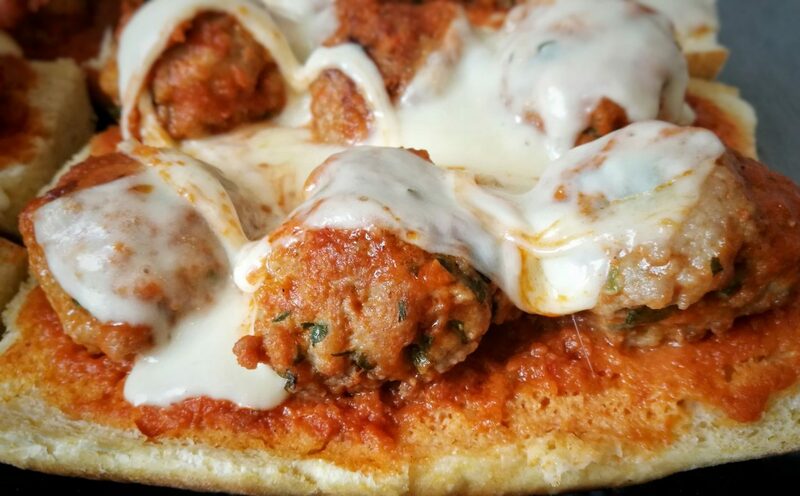 Cover the bread with table spoon or two of marinara sauce, then place the meatballs (3-4) and place the mozzarella slices on top (use half a mozzarella per sandwich). Put in an oven for 2-3 minutes on 200 Celsius degrees so that mozzarella melts. Serve with arugula or as it is..